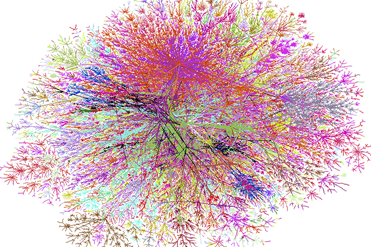 A map of the internet. It’s no coincidence that it looks like an explosion of content. Courtesy Steve Jurvetson Flickr. The adage “content is king” has ruled the internet since it was proclaimed by Bill Gates in 1996. The maxim has only been reinforced over the years: a picture’s worth a thousand words, but a GIF is worth a thousand shares. One of the first steps in a business’s website development is to add content to drive inbound traffic. 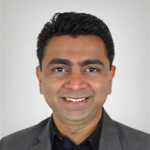 Gradually, the norm for content marketing has become simply “more”, a little of everything to appeal to everyone. Consequently, a lot of businesses that have been following content marketing trends chase hyper-specific niches, which only adds to their content management woes. Customers have to deal with too much content in every other aspect of their lives, too. Think of the culture that’s popped up in the past few years around “binge-watching.” It’s no longer enough to simply watch a show you like at your own pace. In order to process all the content needed to stay relevant around the water cooler, people now have a word to describe the ordeal of a multi-hour viewing marathon. In 2014, 87% of marketers use social media channels to get their content to prospective customers. Since web agencies and eBusinesses worldwide are paying good money to compete with puppy GIFs on social media, you can maximize your chances of getting seen with some content marketing best practices. 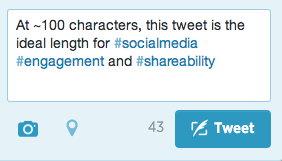 Twitter: Ideal Tweet Length Is 100 Characters. Although 140 characters already seems like too few, less is more. Tweets that are 100 characters or fewer boast a 17% higher engagement rate. The space constraints force content creators to get inventive. Always remember to stay trendy and responsive on Twitter. The medium rewards those who stay on top of popular hashtags and respond to users in a timely way. Facebook: Ideal Post Length Is Less Than 40 Characters. Content marketing strategist Jeff Bullas found that the best B2C Facebook posts are less than 80 characters long. For reference, the preceding sentence was almost 100 characters, which means all you have is one concise sentence to maximize your chances of a click. For the highest engagement, though, make your post 40 characters or less. When a post is no longer than a headline, engagement jumps from 66% to 86%. Facebook is where businesses have to compete with engagement photos and updates from family members: give your customers just a few words. Customers will read a lot, if the content’s worth it. Courtesy Mike Sall, Medium Data Lab. Though Twitter, Facebook and LinkedIn are valuable channels for disseminating your content, substantive, longer posts remain at the heart of content marketing. How do you provide readers and prospective customers with the right amount of longer content, without overwhelming them or overextending yourself? When creating content, know that more isn’t necessarily better—but write more when the occasion warrants it. A few observations from some of my own most-shared pieces: people like lists, people like seeing new information, and people love free things. If you’re sharing something like this, you can make it long. First, though, some basics for longer content are in order. The same rules apply for longer blog posts as for shorter bits for social media. A headline should be concise—between 40 and 80 characters—and give the reader a sense of what they’re in for. Open with a bold, eye-catching image, and include images in the body to break up the reading. As far as the body text of your post, the website Medium studied their analytics to determine the ideal length for longer content. 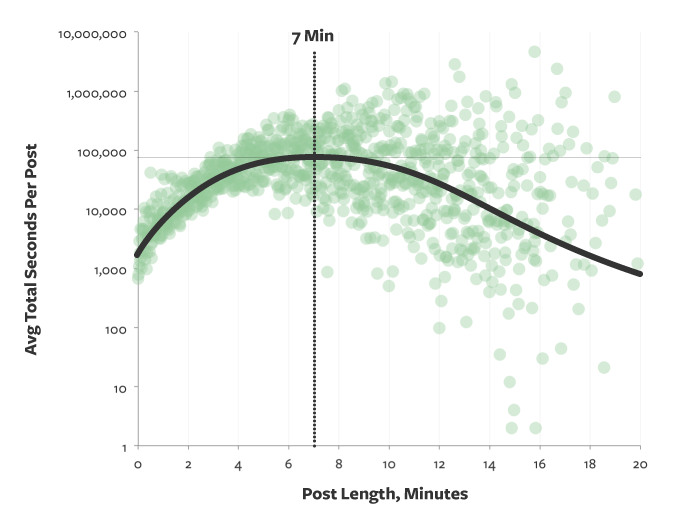 What Medium found was that the optimal length of a longer post is a 7-minute read, or around 1,600 words. If you have an evocative, punchy title, appealing images, and something to say, you can expect to captivate readers for 7 minutes. If your digital agency follows these best practices, you can expect continued content marketing success. Have you found a way to get your content shared that works for you? Let us know in the comments! Great insights supported with data. A study at BuzzSumo analyzed that longer content (2000+ words) also tended to get more social shares than shorter content.